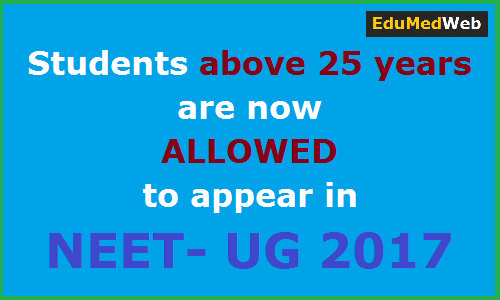 The supreme Court of India has directed CBSE to allow students above 25 years to appear in NEET- UG exam. 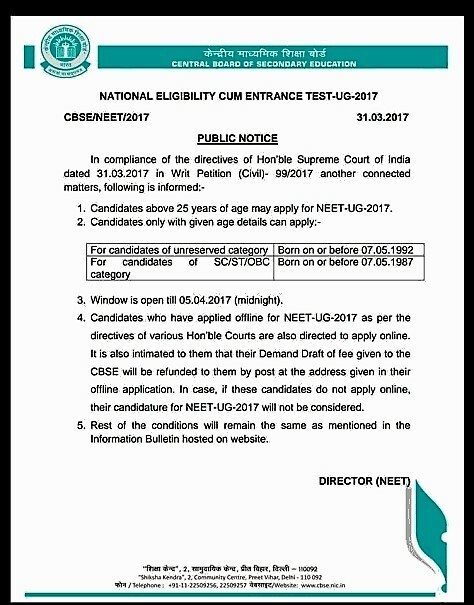 Now eligible candidates can fill the application form for the NEET examination on online portal of CBSE by April 5th, 2017. The oversight committee on the MCI, had also recommended removal of age cap sighting “Shortage Of Doctors In The Country” as the reason. CBSE assured Supreme Court that online portal will be open by evening of March 31st. This year NEET- UG exam will be held on May 7th.